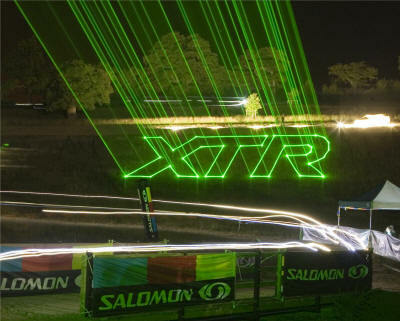 The pictures above were taken at the Extreme Sports Weekender, using a Showcase Laser system and Zion Laser Controller. 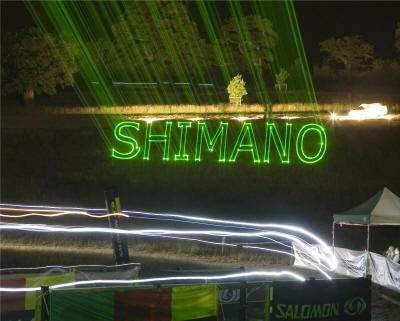 The projection distance was 200 metres and the image was projected onto the side of a 40 ft embankment. 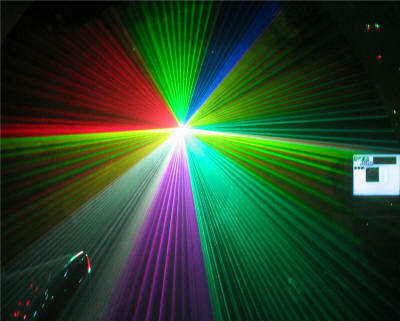 These pictures were taken at Transorium using a Nemesis Laser system and Zion laser controller. 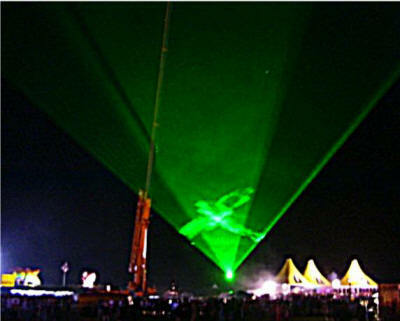 These pictures were taken at Global Gathering, the first picture shows the main arena with 6 Showcase laser systems, the second picture shows one of our 40 watt ND Yag systems operating outside projecting over the fairground. 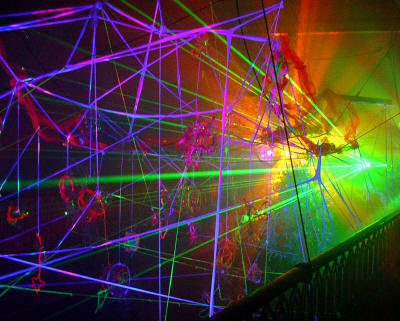 The pictures here were taken during Destruxtion dance event and show the Orion laser system operating. The Pictures above were taken at the GeoPost corporate dinner. 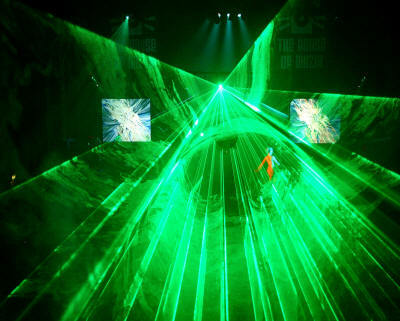 The first picture above shows two of the film crew checking lighting levels from the Orion Laser system being used for the Film Outlaw. 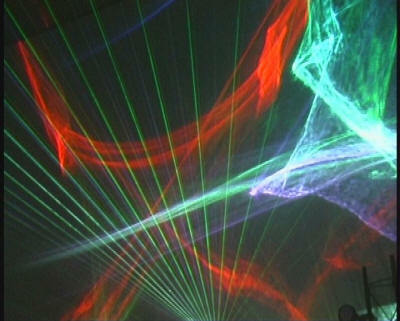 The second picture shows the use of a Nemesis laser system to enhance an art exhibition. 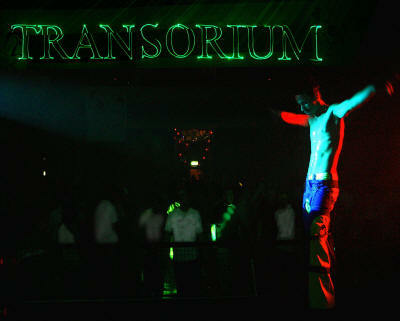 Two pictures showing the stage at Leeds Millennium Square.